Christina Dimitriadis notes, "Through these small, rocky islands, I sought to focus on a distinctive landscape, which mostly goes unnoticed. These photographs compose a different kind of ‘map’ of Greece, a second reading of the country, questioning commonplace, stereotypical imaging." "This project casts a penetrating gaze on limits as moving, variable focal points, as borders, or walls, both threatening and sheltering at the same time. In this photographic series featuring islets of the Aegean, devoid of human presence, the human element is suggested by the limit, whether visible or not, which pops up between us in the form of either a desert or inhabited space. 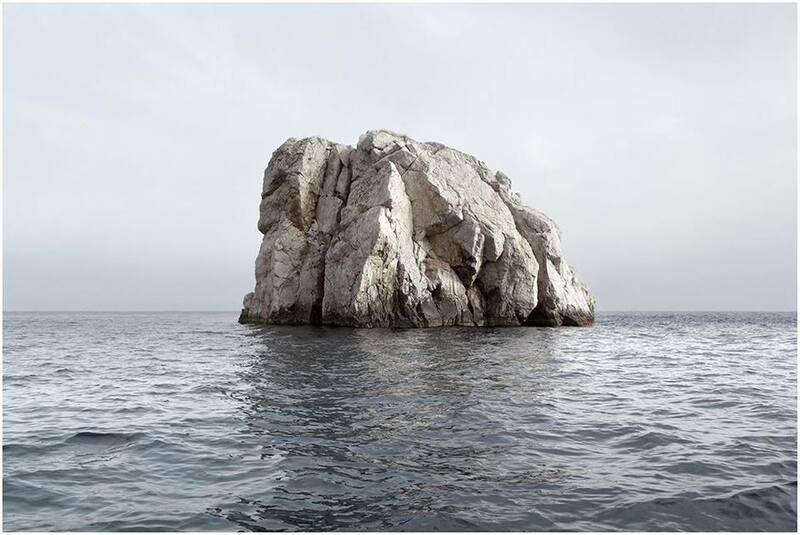 Each rocky island in the series “Island Hoping” is a placeless place and, as such, it may be a stop on the journey; it may also be the final destination."